Surfers –Ever dreamed of catching waves from the outside before anyone else even sees them (WITHOUT PADDLING!!!)? Or how about being able to power around those messy closeout sections that you normally wouldn’t make it around? With the advances in Kite technology you can now totally depower your kite and completely use the power of the wave to surf. When you are done with the wave you just power up your kite and find the next wave. Or you can use the power of the kite to hit the lip harder than you ever thought possible or tear up small knee high waves with tons of speed. NO! You do not need to wear straps. A lot of people kitesurf the same surfboards they paddle into. There are endless possibilities for surfing with a kite. 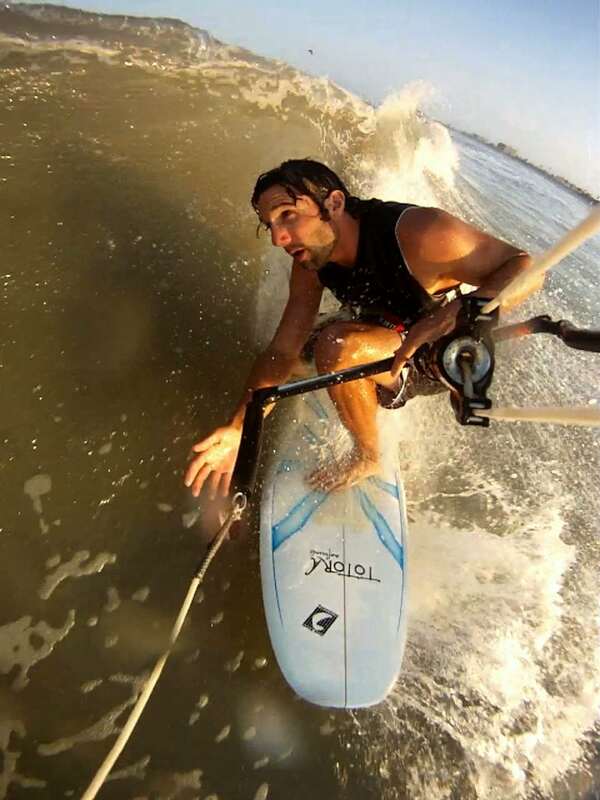 Kitesurfing opens a whole new level to surfing. 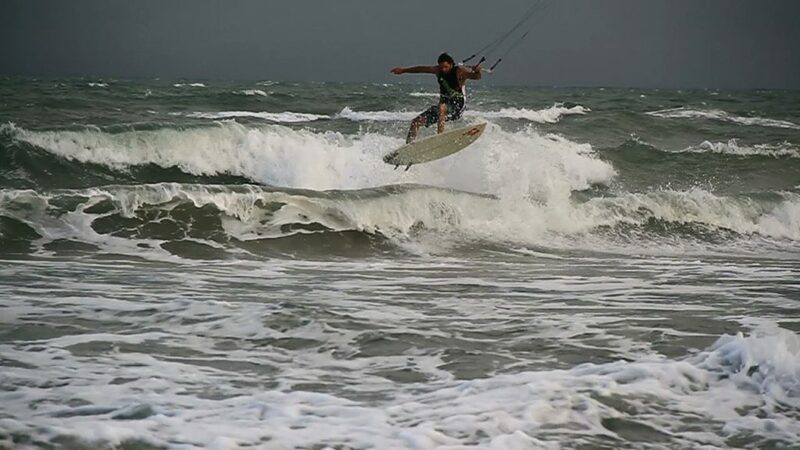 A Kitesurfer can catch more waves in one Downwinder than he would by paddling into waves all summer or even all year! 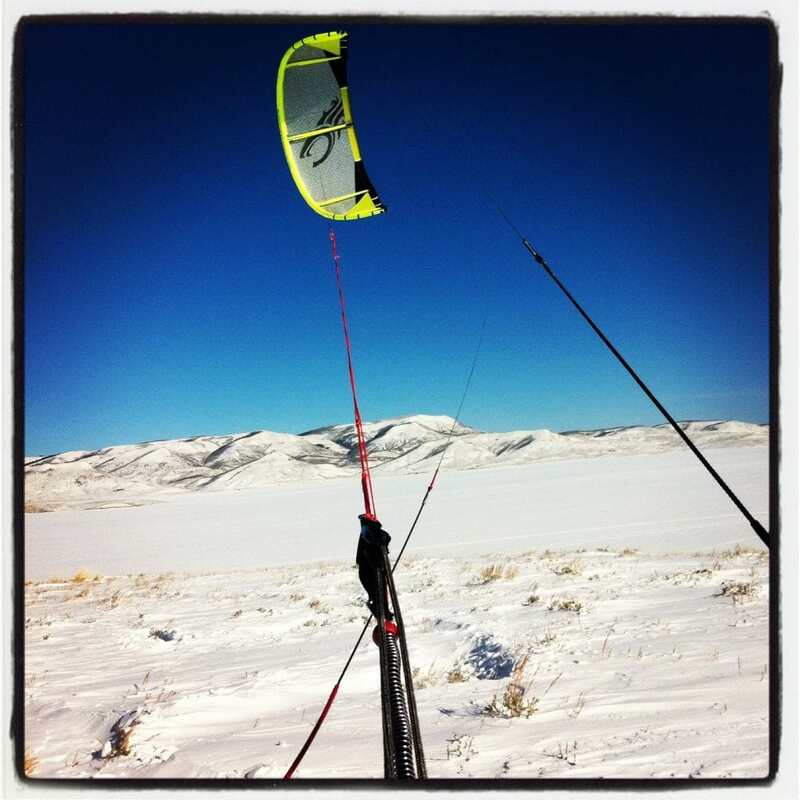 When those “Blown Out” days roll around, it’s time to grab a kite and a whole new experience. No one should kiteboard in offshore winds, making it perfect for surfing on the clean days and Kitesurfing on the windy days. Wakeboarders -Ever dreamed of having an incredibly tall tower on your boat that allows for multiple handle passes, flips, rotations or combinations of all these. A kite has a similar pull of ski boat with a tower but with A LOT more UPWARD (if you choose) pull. You can learn those wake tricks with ease without having to wait for the boat to come back and pick you up. It is not uncommon to reach heights of 30 feet. This can be accomplished on butter flat water or use the waves as ramps! This allows for your imagination to be the only limit to your tricks. 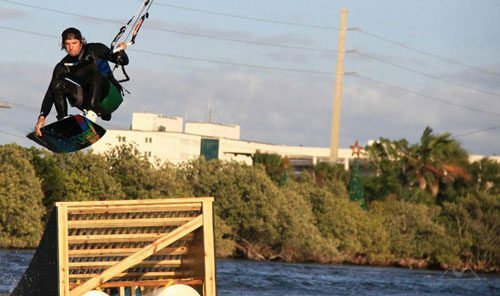 Whether it is handle passes, rallies, rotations or flips; Kiteboarding opens a whole new level to Wake-style riding WITHOUT the cost of gas and a boat. 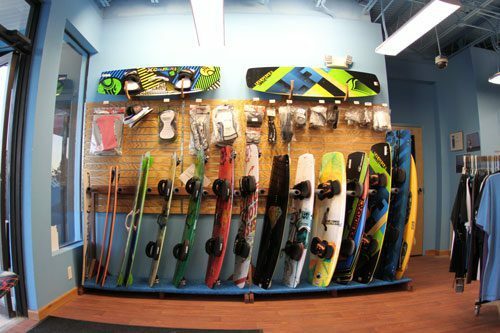 Wakeboarders pick the sport up quickly because they all ready have the board skills and just need to learn the kite! Windsurfers -Ever dreamed of being able to sail in light winds without a monster board and mast? 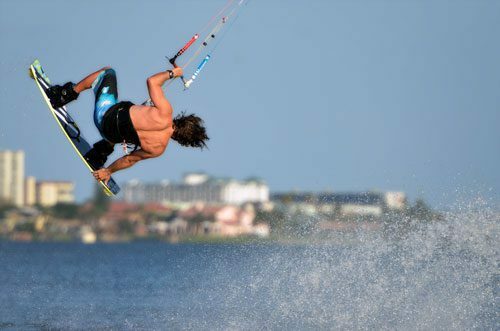 Kiteboarders can enjoyably ride in much lighter winds then windsurfers. 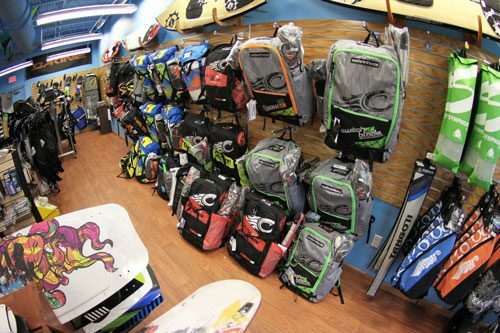 With the right equipment, a Kiteboarder can go out on a 10 knot day and be fully powered. This would not be too much fun with a windsurfing rig. Not to mention, your gear fits in the trunk of a car! No more need for a large vehicle to carry all your large windsurfing boards and masts. Sailors -Ever dreamed of being able to sail without having to lug around a boat or bulky craft? 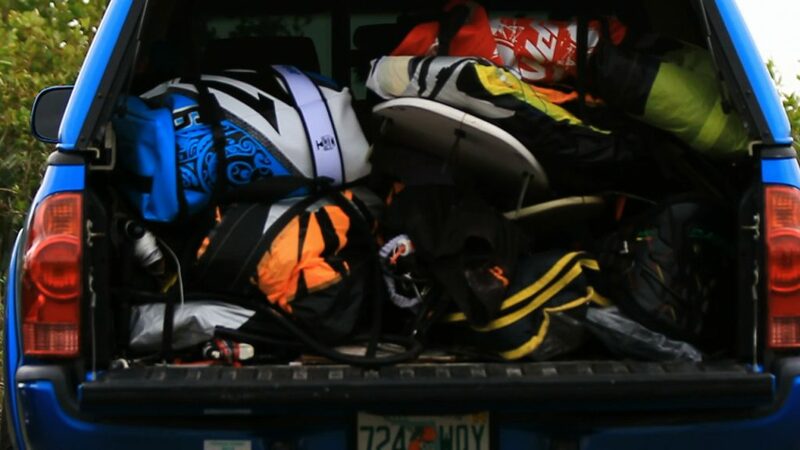 Kiteboarding is a form of sailing but the gear fits into the trunk of a car. With the right kite, you can sail on just about anything. You can sail on a board, a kayak, a catamaran or be creative and find your own craft! Skiers and Snowboarders -Ever dreamed of being able to ride UP the mountain? NO SKI LIFT OR LIFT TICKETS NECESSARY! What about being able to ride on flat ground, rolling hills and open plains? That snow covered frozen lake can turn into an open playground. 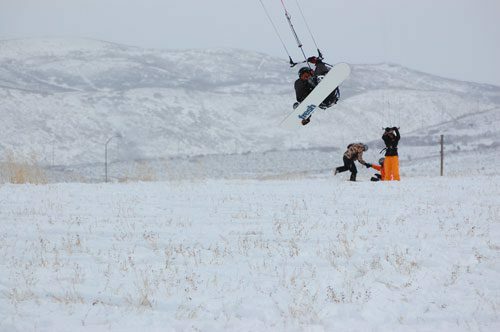 The possibilities with a kite and snow are endless. People are riding UP mountains and basically paragliding down with their kites. Or you can pack up your kite and ski down.